See, solve and track support issues and educate farmer customers. Let trusted advisors see and solve your issue for more uptime. Ring your team, free your voicemail, and track your time. When a firework goes off, we see it before we hear it, due to the speed of light being much faster than the speed of sound. Now imagine your own dealership or company as the speed of light and your competitor as the speed of sound when it comes to customer service strategy. As humans we will never be quite to the speed of light or sound, but in reality what if there was something that did give your company or dealership a leg up in servicing your customers faster? Van Wall Equipment, a John Deere dealership that dates back to 1944, is keen on making sure their customer service is still top of the line for every customer. Even though Van Wall has grown into one of the largest John Deere dealerships, they still make sure their services are easily accessible to their customers. Due to Van Wall's large size, they have dealt with several customers and know that their customers profitability is just as important as their own. Scott Meldrum, Integrated Solutions Manager at Van Wall Equipment, discusses why it's important for dealerships to keep customers up and running efficiently. Scott states, "With the speed that precision technology advances, it’s essential to keep up to speed on that technology and be able to answer the questions in a fast and efficient manner." Using technologies like AgriSync is one way dealerships like Van Wall Equipment are able to limit drive-time for their service technicians and downtime for their farmer customers. 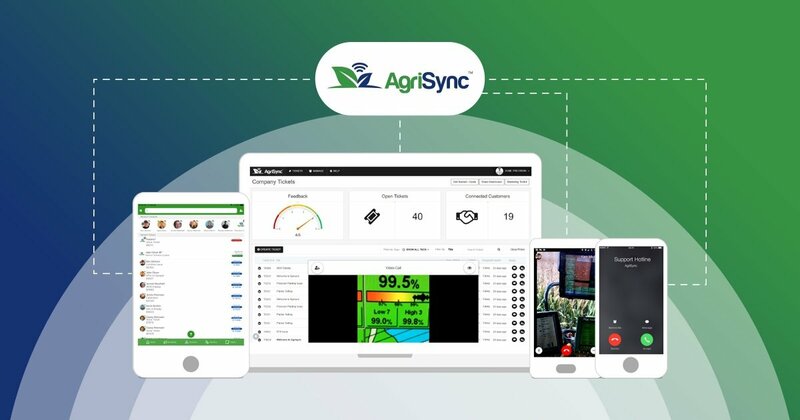 Scott states that with AgriSync, "our technicians [are] able to see what the customer sees," using AgriSync's video calling feature. Now, farmers don't even have to download the app to begin a video call with their trusted advisor, the advisor just have to invite them through the app. AgriSync allows Van Wall Equipment to "find errors in setup more efficiently, rather than having to go to the field. That takes time to get there, so the customer can eliminate downtime and increase their profitability,” Scott explains. Van Wall may never quite get to the "speed of light," customer service, but they will quicken their pace, especially compared to their competitors who may not be holding their secret weapon, AgriSync. So stop being just the speed of sound and hearing your farmers problems, and start to up your game to speed of light and really see your farmers issues not matter where they are. We'll send monthly updates to your inbox with tips and best practices in customer service in agriculture. Thank you to our friends and partners! AgriSync is the communication platform for modern agriculture.